The LAHS Choir Have an Amazing Start to the Year! 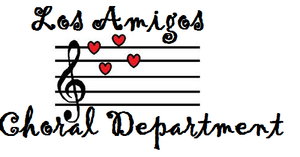 Los Amigos Choral Music has accomplished so much in the first month of school! They were invited by our Superintendent to perform in the Fiestas Patrias Parade for the city of Santa Ana, a performance they prepared successfully in less than a weeks’ time! Our choir also had a fantastic concert on October 3rd! All choirs demonstrated vocal excellence, great energy, and professionalism throughout the evening! 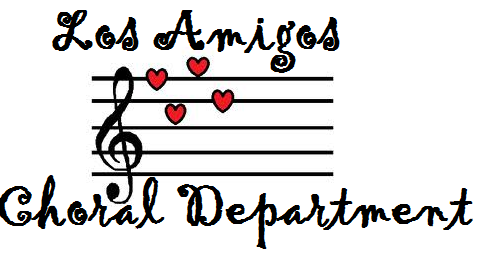 Please congratulate your choir students on a job well done! Lastly, a huge congratulations to Iese Esera, Olivia Colon, Adrianna Murguía, and Luis Vazquez for doing an incredible job representing Los Amigos at the Cal State Fullerton Quartet Festival. They prepared and performed a concert with all the top high school choral musicians in Southern California and at one of the most competitive music universities in our state! Thank you for showing your PAWS on campus, in our community, and on the collegiate musical stage!